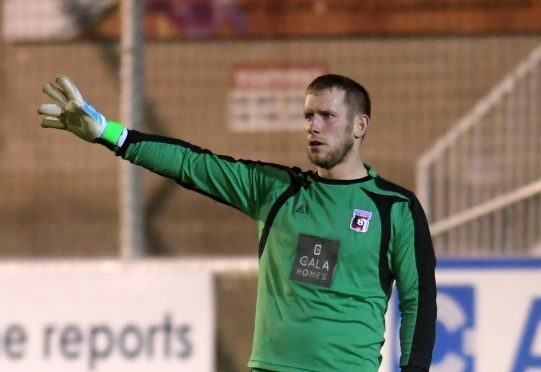 Inverurie Locos goalkeeper Andy Reid scored his side’s eighth-minute opener in the 3-2 win at Nairn County last Saturday with a wind-assisted punt up the field but it was a goal he could not celebrate. County goalkeeper Dylan Maclean could only watch as the former Nottingham Forest, Motherwell and Formartine number one’s clearance sailed over his head and into the net. Reid said: “Of course it was good to score but at the same time I was disappointed for the young County goalkeeper. I know if it had happened to myself I would have been devastated. The wind didn’t seem to take my clearance until the ball bounced, it was only then the wind lifted it up and over. “I felt sorry for Dylan as in the warm-up I noticed that he was watching me practicing clearances and they were landing around about the 18-yard box.